Suspect Arrested in Santa Monica Murders - Yo! Venice! 46 year old transient Edric Dashell Gross was arrested on Wednesday for the 2001 murder of Jacqueline Ovsak and the 2002 murder of Dana Caper in Santa Monica. Gross is accused of sexually assaulting and then strangling the women to death. He was arrested here in Los Angeles at Pan Pacific Park. The body of then 42 year old Jacqueline Lee Ovsak was discovered on April 5, 2001, in an abandoned building in the 1500 block of 7th Street and a homicide investigation was initiated. The second homicide investigation began on October 29, 2002, when officers responded to the 800 block of Palisades Park on the report of a deceased female, then 41 year old Dana Caper, who was found on the side of the bluffs. Both homicides were investigated until leads ran out and the cases went cold. In September of 2007, investigators assigned to the department’s cold case unit, re-opened both investigations and through DNA processing and new investigative leads, Gross was identified and linked to both murders. 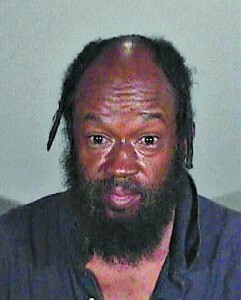 Gross was booked at the Santa Monica Jail for 187(a) PC (Murder) under booking #3265443. Bail is $1,000.000.00 and his arraignment is on August 17, 2012 at the LAX court, Div.145. Anyone with information is asked to contact Detective Larry Nicols at (310) 458-8939 or Sergeant Ira Rutan at (310) 458-8959 or the Santa Monica Police Department (24 hours) at (310) 458-8495.